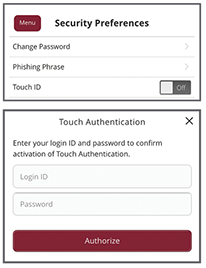 Touch ID® is now available to members with the most recent version of the HUECU Mobile Banking App – so you can instantly access your accounts with just one touch, instead of typing in your username and password. STEP 1: Log in to the HUECU Mobile App and click on “Settings” in the menu. Click on “Security Preferences” in the drop down menu. STEP 2: Click on the “Touch ID” toggle to enable Touch ID. Next time you log in your Touch ID will be enabled. 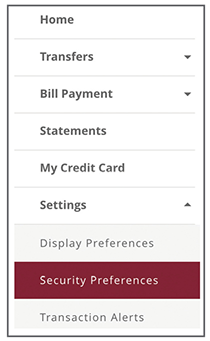 PLEASE NOTE: Anytime you wish to log in using the standard method, simply click the “Standard Login” button when using the Mobile App.